Electrify your sneaker rotation with the adidas Yeezy Boost 350 V2 Static. 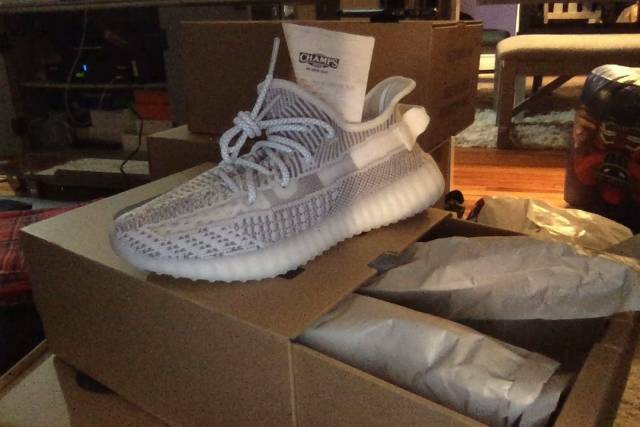 This Yeezy 350 V2 comes with a grey and white upper and a white sole. These sneakers released in December 2018 and retailed for $220. You can see what socks you’re wearing in this shoe…get yours now! NOTE: SHOES ARE IN STOCK & READY TO SHIP!! THESE ARE NOT THE 3M REFLECTIVE PAIR. THESE ARE THE STATIC COLORWAY. Shipping & Payment Policy We ship 2 day priority around the Wednesday after the release ***Ships within 3 days after purchase*** NOTE: SHOES ARE IN STOCK & READY TO SHIP!! Sizes: Please use the scroll down bar to check for sizes available, Condition: Brand new in box. Deadstock. Payment: We only accept Paypal payments. No trades or offers will be accepted . Payments must be made immediately. Shipments are made only to the address on file with Paypal you use. Please make any corrections to your address prior to payment. Address corrections will not be made under any circumstances. 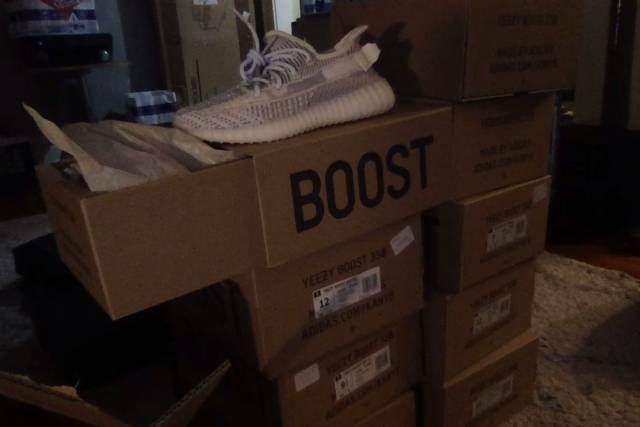 All purchases are final unless we cant ship the shoes. We can no longer offer refunds for any other reason. We ship out the order as soon as the funds are received and verified. Once payment is received, your order will be shipped in 2-3 business days or sooner. This adidas Yeezy Boost 350 V2 comes dressed in a “Static” colorway. It features a new Primeknit patterned construction highlighted with an eye-catching translucent side stripe. All Sales Final all shoes 100% Authentic. Once you order we are not able to offer refunds FAQ Are the shoes real? 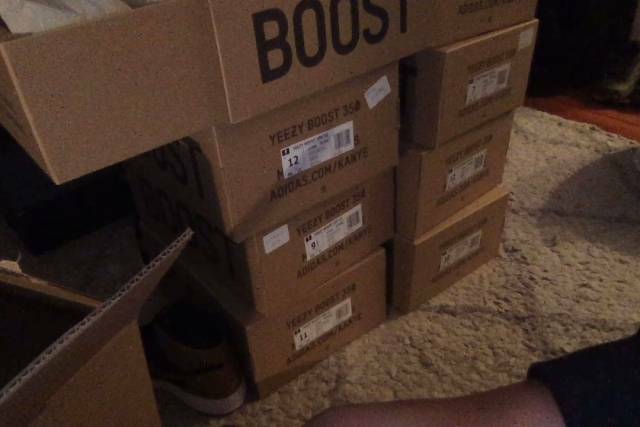 Yes, all the shoes are 100% Authentic Do they come with a receipt? Will fill most of our orders online so there will not be a traditional receipt. Sometimes there is an invoice in the box. Will I get my money back if my order can’t be filled? All orders are guaranteed in stock. In worst case scenario, we will refund any orders we can’t complete. When will the shoes ship? Shoes typically ship of before or on the Wednesday following the release. Holidays and shipping timing can change that by a day or two. I already ordered and have found a better deal or I was able to buy the shoes at the store myself can I get a refund? No, we can not offer refunds unless we can't fill your order. Please only order if your willing to deal with the potential that the above scenario might happen.